BDI is a global company experienced in developing and deploying custom distribution and supply chain solutions for our customers. 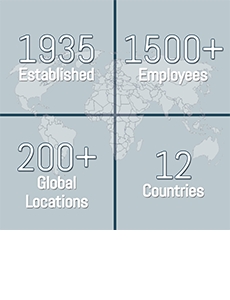 From 200+ locations in 12 countries, BDI serves multiple industries, including but not limited to Automotive, Primary Metal, Food Processing, Public Utilities, Pulp and Paper, Mining, and Material Handling. Bearings, mechanical power transmission, electrical power transmission and motion control, linear motion, pneumatic and hydraulic fluid power, industrial, safety and material handling are among the product categories we supply. BDI-Serbia is ISO certified. Our Quality Assurance program is based on ISO standards and continuous improvement procedures. We strive for 100% on-time delivery that is without transaction errors. 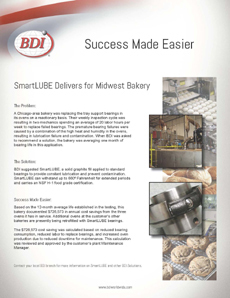 Our sales and field service forces include highly skilled and trained individuals who specialize in the application of products and services that BDI offers. Working closely with our customers, we provide cost-saving solutions and value-added services including technical expertise, engineering support, repair and inspection, inventory management, productivity pipeline and storeroom management services. Future growth at BDI will include both domestic and international expansion and new product technologies. Our mission is to follow the customer – technologically, culturally, and geographically.